Some recent press features in the Irish Independent Insider and Xposé Magazine. 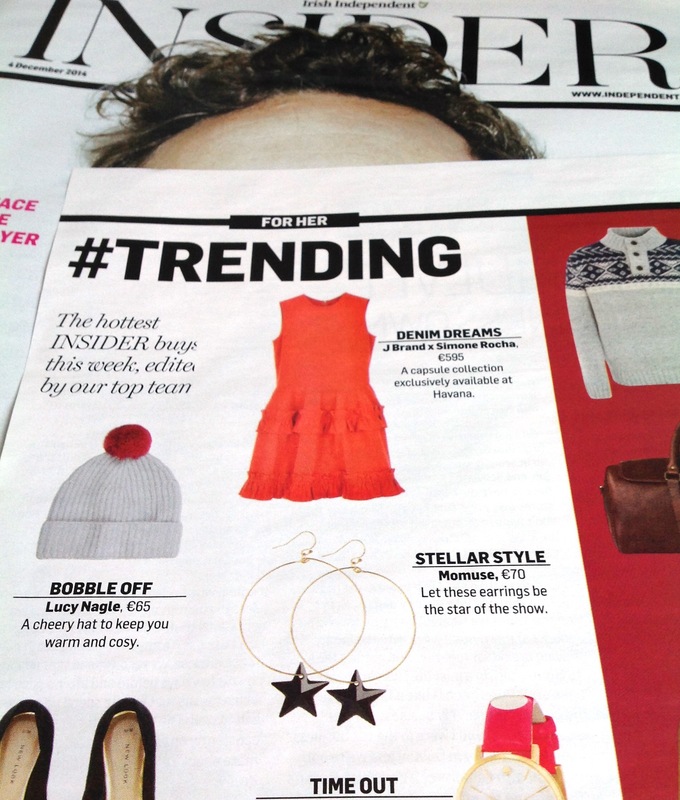 Our gold filled hoop earrings with black swarovski stars featured in the Irish Independent. A lovely write up on our 10 year anniversary in the fashion industry. Featuring our 9ct rose gold hammered disc pendant and earrings. In Xposé Magazine. 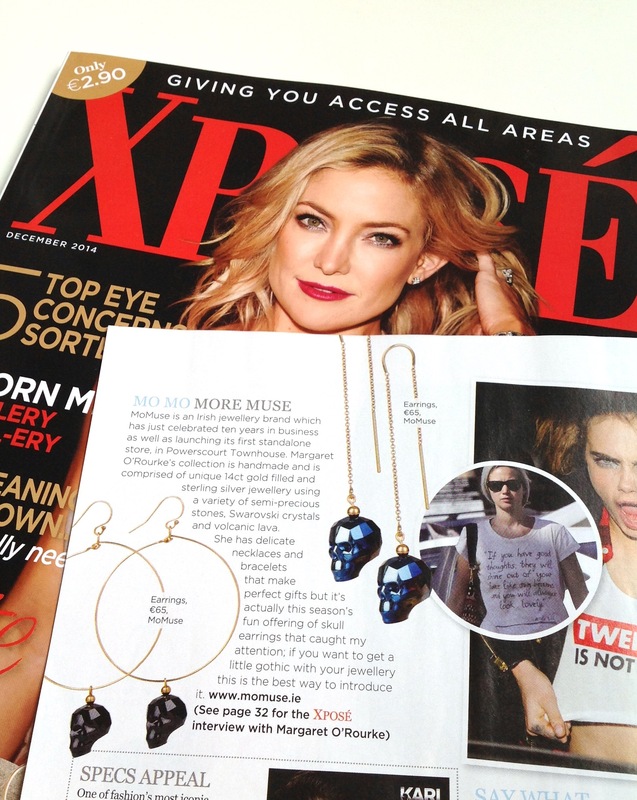 Another fab feature in Xposé Magazine featuring our funky swarovski skull hoop and threader earrings. 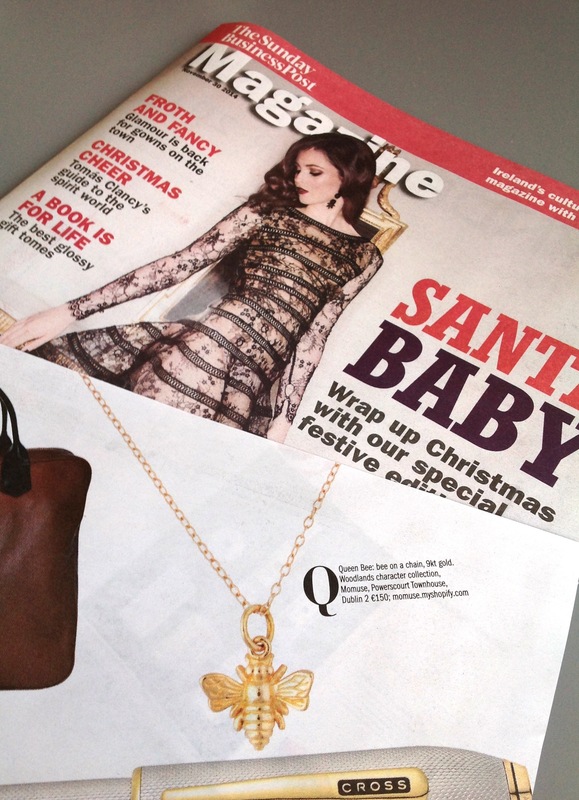 Our 9ct gold bee pendant from our Fine Jewellery Collection featured in the Sunday Business Post. 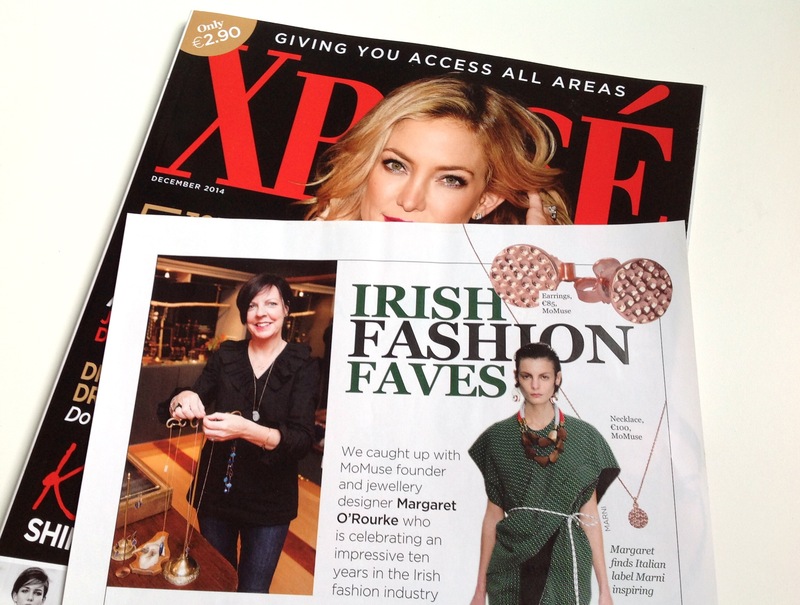 Our 9ct rose gold double circle bracelet featured by Ruth O’Connor in the Irish Examiner.